Each year, the National Council on Digital Convergence strives to celebrate the important accomplishments of leading organizations in K–12 education while recognizing some of our industry’s greatest shared challenges. We are honored to introduce you to this year’s National Network member districts whose Digital Convergence journeys are being showcased in the third installment of the The State of the Industry Report on Digital Convergence. This publication not only celebrates the achievements and recognize the results of these districts, but to learn from the challenges they faced and the solutions they adopted to overcome them. From the entire Modern Teacher Team, congratulations on this recognition, and thank you for your commitment to empowering our students with the experiences they need to thrive. We continue to see remarkable progress in the movement toward personalized learning. We see school districts now reaching stages 3, 4, and 5 of the Digital Convergence Framework. Together, we are building a national movement to serve every student and take our education system into the future with a practical methodology. Cajon Valley Union School District of California, a member of the National Network, is on a mission to realign public education to meet the demands of life after graduation. They accomplish this by providing each child with a full understanding of the World of Work so that they are equipped to make career choices that reflect their strengths, interests, and values. At the heart of their efforts is a cohesive, district-wide vision: happy kids engaged in meaningful relationships on a path to gainful employment. Recently, Cajon Valley connected with two other school districts within the Modern Teacher National Network, Baltimore County Public Schools, and Fraser Public Schools. On-site visits were scheduled to learn more about the work within each district’s schools and communities. The Cajon Valley team, made up of educators, administrators, board members, business partners, and community members, embarked on a journey to further inspire the growth of their vision of The World of Work, modern learning, and what this might look like within the classrooms and community of Cajon Valley. The Cajon Valley EduTour began with NCDC18, the inaugural conference hosted by the National Council on Digital Convergence. An understanding of Digital Convergence and innovative Keynote sessions and conference sessions laid the ground work for a deeper understanding of the road ahead. The second stop was Baltimore County Public Schools, (BCPS). Nick Schiner of BCPS hosted the Cajon Valley educators on a Maker-Space tour of the city. The Maker Space progression included a trip to The Digital Harbor Foundation, a youth maker space utilized within BCPS, OpenWorks, a community Maker-Space, and The Foundry, an Industrial Maker Space. The last stop was to City Garage, located right next door to the Foundry. City Garage is a dynamic workplace that enriches Baltimore's manufacturing heritage and cultivates the talent of local artisans and creative entrepreneurs. City Garage's nearby access to The Foundry allows these entrepreneurs access to costly machinery. These types of spaces allow for individuals of all shapes and sizes to grow their strengths, interests, and values, a concept the team from Cajon Valley is very interested in further developing. This type of spirit gets kids excited about future opportunities inside of the World of Work and also serves to connect the community of Cajon Valley with the school district that serves them. Superintendent Dr. David Miyashiro, on behalf of the Cajon Valley team, presents Nicholas Schiner of BCPS with a Certificate of Appreciation. The last stop on the tour was Fraser Public Schools of Michigan, most recently recognized for reaching Stage 5 in the Digital Convergence Framework. 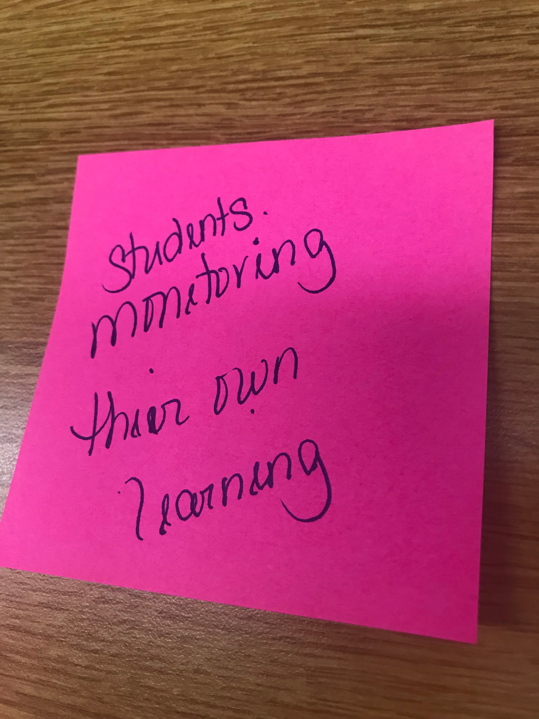 In Fraser, students are becoming increasingly more motivated to take ownership of their learning, and teachers district-wide are afforded the flexibility, know-how, and resources to personalize learning for their students. The Fraser visit began with an overview of how Fraser approached the work of Digital Convergence and included a walking tour of Success Indicator evidence. Work products and photographs related to milestone Success Indicators were posted throughout the room and the group had to opportunity to engage with district staff who were leading the work. Dr. Dave Richards preparing to speak to visitors about the Fraser journey. We then had the opportunity to tour a Middle School or Elementary School, were served a delicious lunch prepared by Fraser high school students, and concluded with a High School tour. The high school classrooms we visited incorporated both innovative classroom teaching practices that reflected the district's realized culture of Time, Pace, Path, and Place Learning at scale and Fraser's version of Maker-Spaces. Superintendent Dr. David Miyashiro, on behalf of the Cajon Valley team, presents a Certificate of Appreciation to Fraser Superintendent Dr. David Richards and two Fraser School Board Members. Modern Teacher's National Network represents the individual collective work of Digital Convergence across the country to give innovative educational leaders the united voice needed to move K-12 education into the future. The National Network is designed to create a forum for community, collaboration, and consensus as districts navigate the transition to modern learning facing common goals and challenges. Through Modern Teacher's online platform, districts can access useful information about other members, such as their location and helpful demographic information, Digital Convergence Framework Stage, Success Indicator completion and activity, Professional Learning progress, and Key Strategic Milestones. Drawing from these diverse experiences and Stages in the Framework creates traction and builds momentum to transition the traditional classroom to modern learning environments at scale. Are you taking advantage of the resources available within the National Network? A good place to start is by visiting the National Network Page within the Modern Teacher platform. You can find the link under the Digital Convergence tab. Take some time to explore other districts also undergoing the challenging work of Digital Convergence and begin connecting them. Your Strategy Officers can offer assistance as you begin to explore the many available possibilities. Stakeholders have been identified and engaged in activities around the Theory of Action and the construction of the vision of the modern learning environment. This Success Indicator appears early in the Framework because of the importance of securing stakeholder buy-in to Digital Convergence. Recognizing that the value of a community comes from the value of collective voices, the stakeholder engagement process provides an opportunity to continually build a collective voice through guidance and feedback. 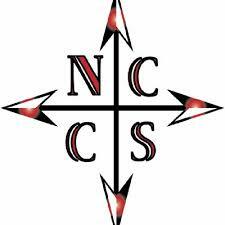 Hamilton Community Schools became a Modern Teacher National Network member in September of 2017. Superintendent David Tebo knew that his district leadership was well equipped to make decisions independently around their vision of a modern learnring environment. However, he also knew that Digital Convergence could not take place when only one team worked in isolation so the leadership team began to identify and include key stakeholders for guidance and feedback in developing this vision. What Are The Demands Of Society In The Conceptual Age? What Role Does Hamilton Community Schools Play In Responding To Those Demands? In each meeting, small groups were developed and each small group created a poster depicting the needs of society and Hamilton's role within those needs. Each small group presented their poster to the stakeholder group, providing further understanding to the needs and responses identified in their vision of a modern learning environment. The open dialogue that followed allowed for stakeholders to voice their opinions and hopes and to project future progress for their community schools. In crafting a vision together with stakeholders, Hamilton Community Schools began generating understanding and buy-in toward the development of a vision for modern learning. Now, as Hamilton moves forward with Digital Convergence, they are able to reconnect with these stakeholder groups and build off of their journey established together, as a team. Below are a few images generated during a few of these stakeholder meetings.